Maybe you’re moving up north to the scenic city of Escanaba, MI or maybe you’re making your way out of the Escanaba area. Whatever the case may be, we want your local, long-distance or overseas move to be a success. Choose a moving company with over 80 years of experience in the moving and storage industry. Guindon Moving & Storage has just the solution for you, as we work with our customers to develop a move plan that ensures customer satisfaction from start to finish. Our expert movers will take exceptional care when moving your belongings from large furniture, fixtures and equipment to fragile antiques and glassware. We want you to have confidence knowing your items are fully protected during their relocation. Hire the local movers of Guindon Moving & Storage who are familiar with the area for a professional and affordable move to or from the Escanaba, MI area. Who doesn’t love breathtaking sunsets on the beach and opportunities for new daily adventures? That’s exactly what you’ll get when moving to Escanaba, Michigan. The Upper Peninsula city is located along 211 miles of shoreline offering endless views of the amazing horizon. What makes Escanaba even better is that the city is placed within the banana belt, meaning movers to the city will get to enjoy warmer weather than the rest of the surrounding region. It’s no surprise that Escanaba is the third largest city in the Upper Peninsula with a population of over 12,600 residents. This historic city began as a port town during the mid-19th century and continues to serve as an important iron ore shipping point to other ports along the coast of the Great Lakes. The booming shipping industry in Escanaba called for lighthouses to keep shipping boats safe during their travels. The Sand Point Lighthouse was constructed in 1868 and stands today as a National Historic Place. The Sand Point Lighthouse – This national historic site right on the lake is open to the public for tours during Memorial Day Weekend and is rated #2 of things to do in Escanaba on TripAdvisor. Escanaba Family Fun Park – This amusement park for the entire family features go-karts, bumper boats, mini-golf and more! Delta County Historical Museum – Learn about the historical roots of the area by taking a close look at collected artifacts dating back to the 1800s! You won’t find difficulty in keeping busy when moving to Escanaba. The community hosts various events throughout the year that’ll easily fill up your calendar! One event we suggest you partake in is the Waterfront Art Festival where you can view and shop from the displays of over 50 artists and enjoy live entertainment. 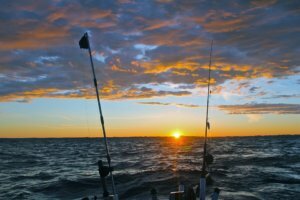 For avid fishers moving to the area, Escanaba holds a number of fishing tournaments like the Young Angler Fishing Tournament and Cabela’s Bass Tournament, to name a couple. Don’t put off your move to the exciting city of Escanaba, MI any further. 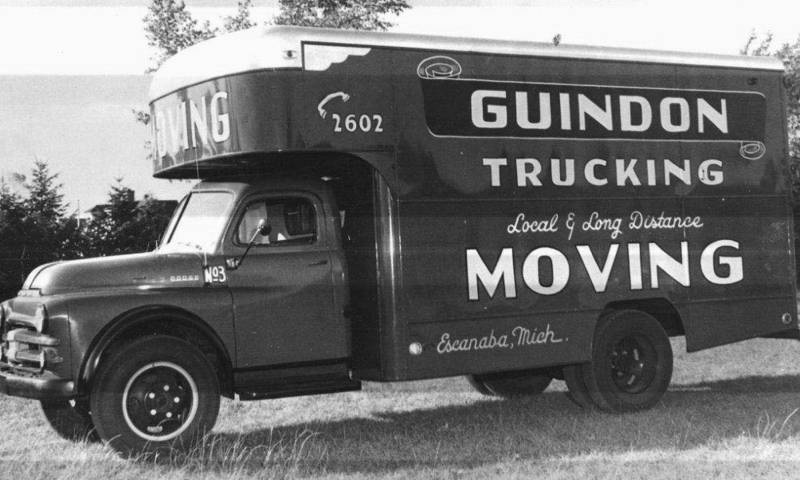 Contact Guindon Moving & Storage to help you with your residential or commercial move. For over 80 years, we’ve served the families and businesses of Escanaba and the rest of the Upper Peninsula, and we continue to do so proudly. We offer a full range of moving and storage services including short and long-term storage in our secure, government approved warehouse facility. Our movers will meet all your moving needs, so make Guindon Moving & Storage your reliable Escanaba moving company. Give us a call or fill out our online form for a free quote today!